A gradual paying off of a debt by periodic installments which pay principal and interest. The effective rate of interest for a loan per year. This rate is typically higher than the note rate because it takes into account closing costs. This is one way to compare loan programs offered by different lenders. Caution: the APR is sometimes computed differently by different lenders and can be misleading. An opinion or estimate of value of a property at given date. A mortgage loan which allows a new home buyer to take over the obligation of making loan payments with no change in the terms of the loan. Assumable loans do not have a due-on-sale clause. The lender has to be notified and agree to the assumption. The lender may require the buyer to qualify for the loan and may charge an assumption fee. The seller should obtain a written release from the lender stating clearly that he/she is no longer liable to make mortgage payments. See also ‘subject to’. Example: A balloon mortgage for $25.000 has interest only payments for 5 years at 12% ($250 per month), with the full principal of $25.000 due and payable after 5 years. The financial inability to pay one’s debts when due. The debtor surrenders his assets to bankruptcy court. An individual typically files for Chapter 7 (All debts wiped out) or Chapter 13 (established a payment plan to pay off debts). A bankruptcy stays on a individual’s credit report for 7 years. Market conditions that a favor buyer’s i.e. there are more sellers than buyers in the market. As a result buyers have ample choice of properties and may negotiate lower prices. Buyers markets may be a caused by an economic slump or overbuilding. The document issued by the veteran’s administration to those that qualify for a VA loan which may be used to buy a house with 0 down. Certificates of eligibility may be obtained by sending the form DD-214 to the local VA office along with VA mortgage loan principal. An opinion rendered by an attorney as to the status of title to a property, according to the pubic records. This certificate does not the same level of protection as title insurance. The act of transferring owner of a property from seller to buyer in accordance with a sales contract. The time when a closing takes place. - Lender fees – underwriting, processing, document preparations, flood certificate, tax service, wire transfer, courier, etc. Recurring fees are cost associated with owning the property and they recur month after month. These costs may include hazard insurance, interest, property taxes, mortgage insurance (PMI), and association fees. A pro-rated amount of these fees may have to be paid at closing including. - Mortgage insurance (PMI) – may be required if the loan amount is more than 80% of the value of the property. In the past a whole year of PMI had to be paid up front, however in recent years many PMI companies only require 1-2 months up front. Mortgage insurance are normally paid every month with the loan payment. - Impound account may need money to be set up for future payments. A short term loan to pay the construction of buildings or homes. These loans typically provide periodic disbursements to the builder as each stage of the building is completed. When the construction is completed a take out or permanent loan is used to pay off the construction loan. Any Mortgage loan other than a VA or an FHA loan. A convention loan may be conforming or non-conforming. Some variable loans come with options to convert them to a fixed loan based on a pre-determined formula, during a given time period. For example the 1-year bill adjustable may be converted to a fixed during the first five years on the adjustment date. A report detailing a borrower’s credit history including payment history on revolving accounts (e.g. Credit cards) and installment accounts (e.g. car loan). A credit report also includes information found from public records including tax liens and judgments. A written document by which title to real property is transferred from one owner to another. The deed should contain an accurate description of the property being conveyed, should be signed and witnessed according to the laws of the State where the property is located, should be delivered to the buyer at closing. The amount paid for the purchase of a property in addition to the mortgage, but not including any closing costs. Equity = Property Value – Loans/ Liens Against the property.  Equity is typically expressed as a percentage of the property value. Neutral third party that handles all funds in a real estate transaction. The buyer puts his deposit into escrow; the lender funds the loan into escrow. Escrow pays the real estate broker’s commission, pays off any loans/liens against the property, and pays real estate taxes and any other fees associated with the transaction and sends the balance of the money to the seller. Escrow payment – see impound account. Purchases loans from lenders, securities them and sells FNMA mortgage backed securities on Wall Street. An agency, within the U.S Department of Agriculture that administers assistance programs for purchasers of homes and farms in small towns rural areas. Purchase loans from members of the Federal Reserve and the Federal Home Loan Bank Systems, securitizes them and sells FHLMC mortgage backed securities on Wall Street. An agency within the U.S Department of Housing and Urban Development (HUD) that administers loan programs, issues loan guarantees to make more housing available. A mortgage that has priority as a lien over all other mortgages. In the case of a foreclosure the first mortgage will be satisfied before other mortgages. See also second mortgage. A legal process by which the lender forces a sale of a property because the borrower has not met the terms of the mortgage. A government agency part of HUD that buys VA and FHA loans from lenders securitizes them and sells Ginnie Mae securitizes to investors. A mortgage that has lower payments initially (with potential negative amortization) which increase each year until loan is fully amortized. Insurance on a property against fire and other risks. A homeowner’s policy may have additional coverage for theft, liability, etc. that a fire insurance policy may not cover. A U.S government agency established to implement certain federal housing and community development programs. Real Estate that generates rental income. Examples: apartment buildings, office buildings and shopping centers. Ownership of a property by 2 or more people, each of whom has an undivided interest with the right of survivorship. A claim against the property for the payment of a debt, judgment, mortgage or taxes. Example: unpaid contractors may file a mechanic’s lien. Charge by a lender or broker connected with originating a loan. This is different from discount points which are used to buy down the rate of interest. The loan amount divided by the value of the property. The act of collecting loan payments, handling property tax and insurance escrows, foreclosing on defaulted loans and remitting payments to the investors. A fixed number added to the index to compute the rate on an adjustable rate mortgage. The highest price that a buyer would pay and the lowest price a seller would accept on a property. Market value may be different from the price of a property could actually be sold for at given time. Specializes in originating and servicing loans. They generally sell their loans to investors, but may continue to service them. Arranges financing for a borrower by placing loans with lenders. Mortgage brokers are paid a fee by the borrower or the lender when a loan closes. An increase in principal balance which occurs when the monthly payments do not cover all of the interest cost. The interest cost which is not covered by the payment is added to unpaid principal balance. Loans that do not comply with Fannie Mae or Freddie Mac guidelines. A mortgage permitting the mortgagor to borrow additional money under the same mortgage, with certain conditions. The individual named on a deed that has been recorded at the county recorders office. A loan that is held as an investment by a bank or savings and loan, and NOT sold on the secondary market to investors. A written document authorizing a person to act on the behalf of another person. That person does not have to be an attorney. See Attorney-in-fact. Prepaid interest is the interest charged to borrowers at closing to pay for the cost of borrowing for a balance of the month. For example, if a loan closes on the 19th of the month and the first payment is due on the 1st of the following month, the lender will charge 12 days of prepaid interest. Fees paid by the borrower if they pay the loan before its due date. The lowest commercial interest rate charge by a bank on short term loans to their most credit worthy customers. View current prime rate. In the event that you do not have a 20 percent down payment, lenders will allow a smaller down payment – as low as 2 percent in some cases. With the smaller down payment loans, however, borrowers are usually required to carry private mortgage insurance. Private mortgage insurance payments are normally made annual or monthly. An impound account may be required. A deed which transfers whatever interest the maker of the deed may have in the particular parcel of land. A quitclaim deed is often given to clear the title when the grantor’s interest in a property is questionable. By accepting such a deed the buyer assumes all the risks. Such a deed makes no warranties as to the title, but simply transfers to the buyer whatever interest the grant has. An individual who often owns a real estate company or is in a management position, and who is licensed to represent a buyer or a seller in a real estate transaction. A law that states how mortgage lenders must treat those who apply for real estate loans on property with 1-4 units. Repaying an existing loan from the proceeds of a new loan on the same property. The act of entering into a book of public records instrument affecting title to the real property. A lender requires that a deed of trust or a mortgage be recorded to evidence the debt against the property. A federal regulation requiring creditors to provide full disclosure of terms of a loan including the terms of the loan and the annual percentage rate (APR). A trust that uses investors’ money to purchase and manage real estate. Investors realize some of the tax advantages in owning real estate. The right of a surviving joint tenant to acquire the interest of a deceased joint owner. A mortgage used by the elderly that provides income as long as they live in exchange. Payments made cause the loan principal to increase. A loan that is amortized over a long period of time (e.g. 30 years) but the interest rate fixed for a short period (e.g. 5 years). The loan may be extended or rolled over, at the end of the shorter term, based on the terms of the loan. The market where the banks, savings & loans mortgage bankers can sell mortgages to investors like Fannie Mae or Freddie Mac. A subordinated lien, created by a mortgage loan, over the amount of the first mortgage. Second mortgages generally carry a higher rate than a first mortgage since they represent a higher risk for an investor. Privately owned rental units participating in the low-income rental assistance program. Landlords receive subsidies on behalf of qualified low-income tenants, allowing the tenant to pay limited proportion of their incomes toward the rent. The act of billing, collecting payment, filing reports, managing impounds accounts and handling defaults on a mortgage. A booklet that provides an overview of the lending process and is required to be given to consumers after the loan application is completed. A type of residential structure designed to include one dwelling. Example: Town houses, detached units. A standard loan application widely used in the mortgage industry. Value added to a property due to improvements made personally by the owner. A low initial interest rate on a mortgage. Evidence that the owner of the property is in lawful possession. Evidence of ownership. An insurance policy which protects the insured against loss arising from defects in title. Title insurance policies are typically obtained for the buyer and the lender. An examination of the public records to determine the ownership and encumbrances affecting the property. The decision whether to make a loan to a potential home buyer based on credit, income, employment history, assets, etc. Home loan guaranteed by the U.S. Veterans Administration, enabling a veteran to buy a home with no money down. A document signed by the borrower’s bank or other financial institution verifying the account balance and history. A document signed by the borrower’s employer verifying his/her starting date, job title, salary and probability of continued employment. A deed conveying the title to a property with a warranty of a clear marketable title.